Check out this freebie that can't be missed in this weekends Saturday & Sunday's Telegraph!!! 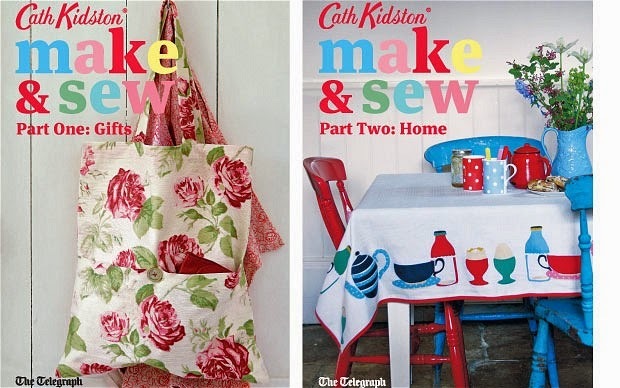 I will not be missing this as i am a big fan of Cath Kidston & it's perfect for all you crafty people! EDIT: This offer has now ended but I would love to hear your opinions on them, for me i think they are brilliant for the people who don't have any of Cath's books as most of the designs featured in the booklets you can find in her book Sew, but I love the booklets as they are brilliant for those days when you just need a little bit of inspiration for whatever project you are doing, brilliant tips, techniques & ideas Thank you Cath Kidston !